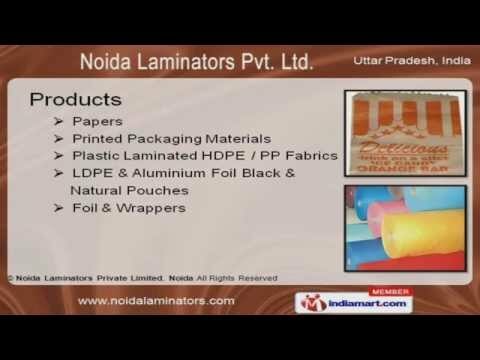 Welcome to Noida Laminators Private Limited, Manufacturer and Supplier of Packaging Papers. The company was established in the year 2003, at Greater Noida. Our products are applicable in Soap, Tobacco and Paints industries. Competitive prices, Modern mechanical and technical supports are the plus points of our organization. We offer a wide assortment of Papers, Aluminium Foil Black and Natural Pouches We offer a vast range of Plastic Coated Papers and Poly Coated Papers. Our company specializes in offering Printed Packaging Materials that are widely acclaimed in the market. We also provide Plastic Laminated HDPE and PP Fabrics that are available at affordable prices. LDPE and Aluminium Foil Black and Natural Pouches offered by us are some of our best selling products. Our clients can avail from us an exquisite range of Foil and Wrappers.